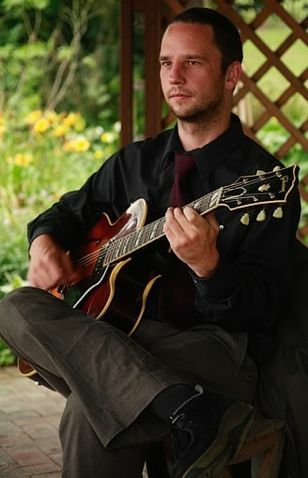 Jason is an all-rounder, playing many guitar styles, including swing jazz, gypsy swing, be-bop guitar, George Benson style jazz, Wes Montgomery style. He’s available as a solo guitarist for those situations where space and/or budgets are limited. Jason will create a relaxed atmosphere for people to chat or listen. 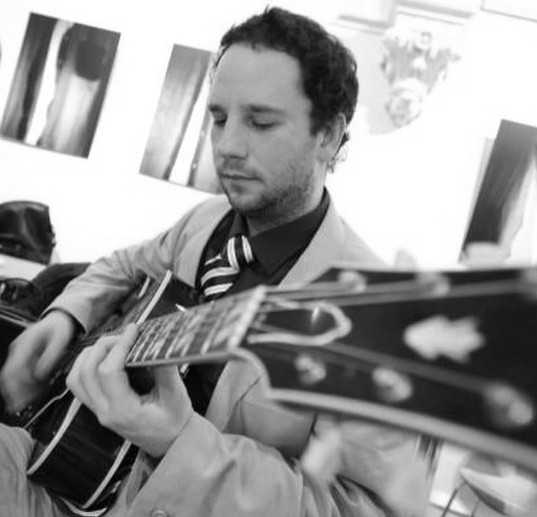 Jason Henson is a very experienced and professional jazz guitarist. He is an integral part of many top-notch jazz bands in the UK and has played all around Britain, Europe, North Africa and beyond. As a solo jazz performer Jason has a large repertoire of beautifully arranged jazz standards, featuring many of the best-known compositions from the genre, including melodies from the 1920s up to the present day. Booking a solo jazz act is a good idea for situations in which you’d like your guests to be able to chat freely, whilst maintaining the sweet ambience that jazz creates. It’s also easier on the budget, and takes up less space.